Caviar is a delicacy that dates before oysters, champagne and even long before truffles were considered a food item. In those days, caviar was a symbol of wealth and power and only associated with the first class in the society. It was a coveted food item by kings, aristocracy, ancient Greeks and all those deemed superior in the then world. However, caviar is back in fashion today and available to all. Both first timers and regular caviar eaters agree on one thing-the mysterious luxury in the tiny black and red pearls of this delicacy that have an exquisite salty and fishy taste. The delicacy is however not an everyday item, but a deserved indulgence on special occasions. This summer comes with such events, and that explains the reason you need to learn several caviar recipes. If you love pasta, you surely know there are hundreds of ways to make it appealing to both the human eye and mouth. 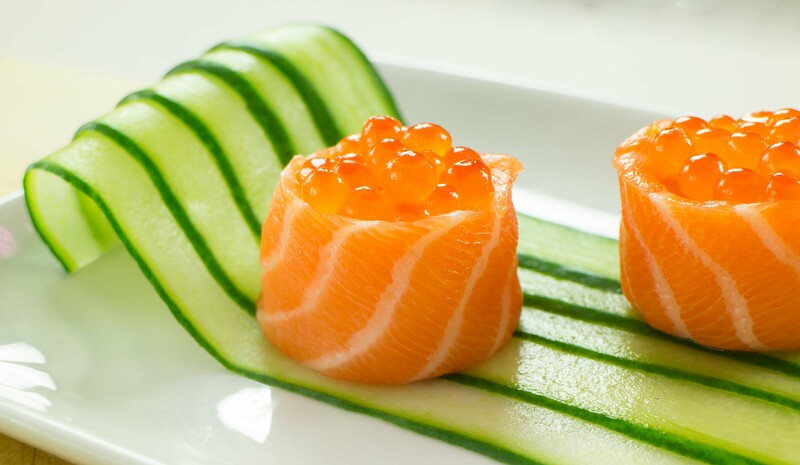 This time round, our inspiration comes from salmon caviar an ingredient that aims at introducing a delicate crunch to this dish. 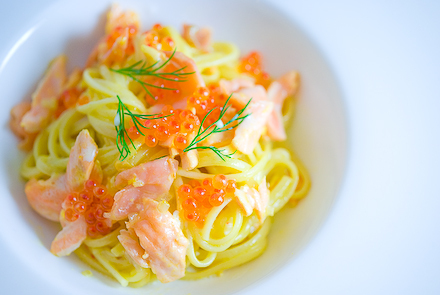 The required ingredients include dry pasta- tagliarini or fettuccine are the best here, unsalted butter, sour crème, chopped parsley, chopped tarragon, ground pepper, sliced smoked salmon and salmon caviar. Cooking is easy since you start by cooking pasta the usual way. However, after draining the pasta, be sure to reserve about ½ cup of the water to be used in case pasta gets dry. After this, melt the butter and add the other ingredients as well as the drained pasta. 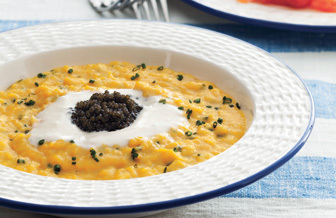 You can add some caviar to the mixture and toss well while the remaining can make an excellent garnish. Most people across the world love eating pancakes for breakfast, and it is likely you are among them. However, introducing a twist to the regular pancakes will make you love them even more. Just figure out crèmes made with sautéed potatoes that have been topped with caviar and plain yogurt. The best thing is that making these crepes is easy and takes a little time. Your ingredients will include all-purpose flour, salt, egg and egg white, buttermilk, oil, diced red potatoes, ground black pepper, chicken stock, plain yogurt, and American sturgeon caviar. Start by mixing flour and eggs until you achieve a good consistency. Then fry the potatoes until golden and remember to sprinkle a bit of salt and pepper. After this, add the stock to the potatoes and remove from heat when all liquid is absorbed. 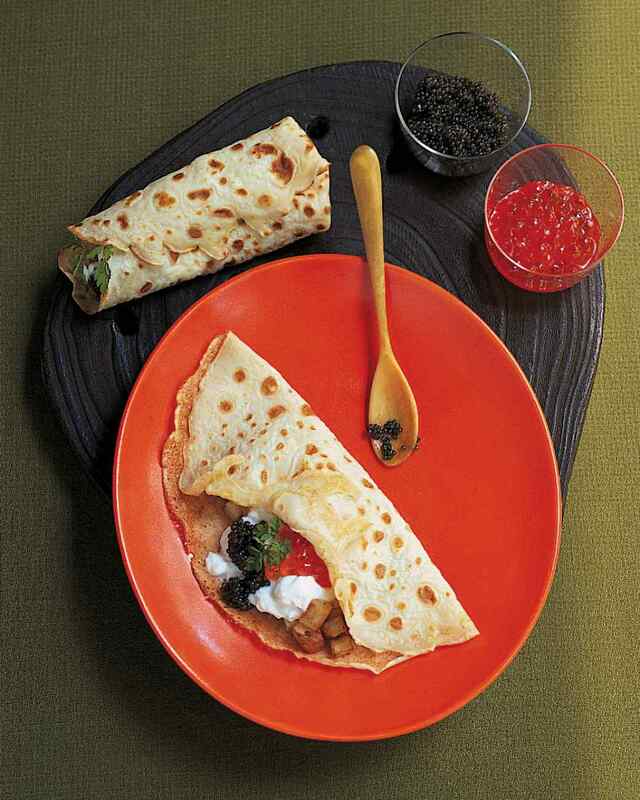 Cook your crepes the usual way and when done spread the cooled potatoes, yogurt and caviar on each of them. Roll them up and be ready to enjoy your delicacy. If what you want is an appetizer for your birthday party or any other special occasion, then this is the dish to have. With only a few ingredients needed and the ease in making, there is no doubt you will love it. 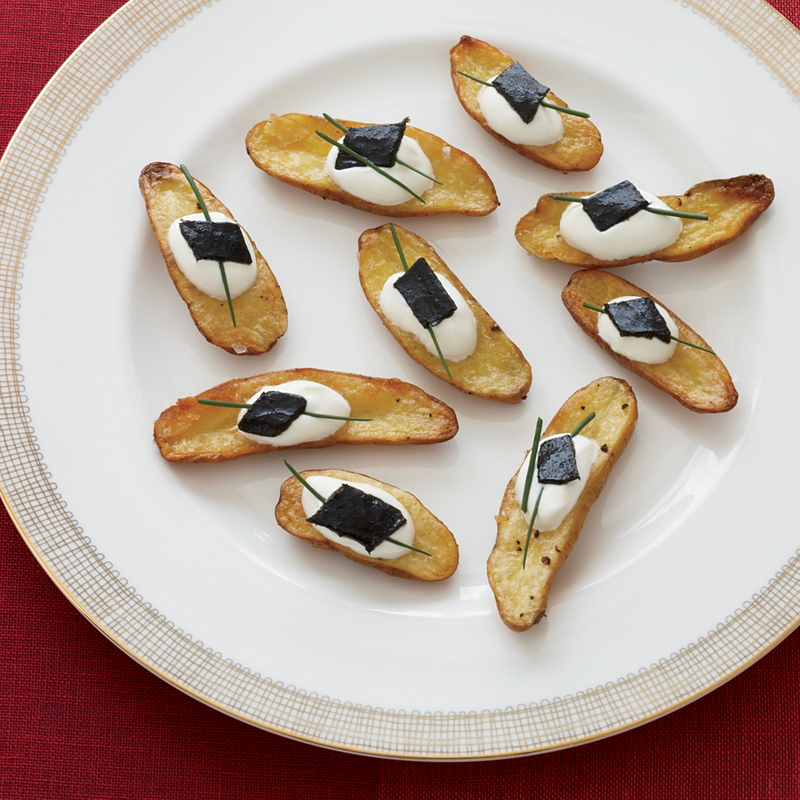 All you need is halved fingerling potatoes, oil, rosemary sprigs, salt and black pepper, sour crème and osetra caviar. You have to toss the potatoes with all the above ingredients except caviar and crème. Then bake the potatoes for about 60 minutes in an already preheat oven at 375 degrees F. Once the potatoes are ready, let them cool slightly then serve them with crème and caviar as a dip or as a spread as desired. 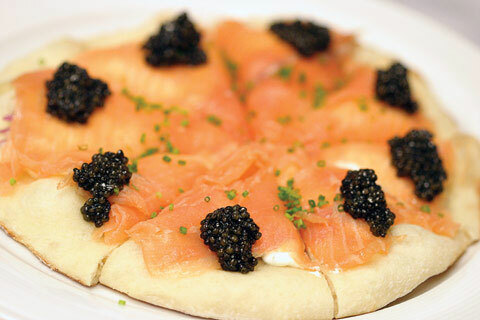 Pizza is a classic food and more so when prepared with luxurious ingredients such as caviar. Although the recipe is quite easy, you may need to add several other items such as crème Fraiche, Truffle oil, cooked pizza crust, smoked salmon, crabmeat, black and red caviar, and fresh chives for garnishing. The recipe requires you to mix the crème and oil and then spread evenly over the crust. Then have the salmon slices on one layer and sprinkle crabmeat over the pizza. To make the final product more appealing, dollop the caviars on the pizza and use the chives for garnishing. Sometimes you wake up late, and there is no time to make a heavy breakfast. But as you know, breakfast is an important meal that should never be skipped. In such cases, you can quickly get sorted with this simple but scrumptious dish that will take at most 10 minutes. You only need some eggs, salt, black pepper, unsalted butter, toasted brioche and a bit of osetra caviar. Preparation is easy since it’s a replica of the regular egg scrambling recipe. Once the egg is ready, you just need to place it on a slice of toasted brioche while adding the caviar to the product. Trust me that you will not only enjoy the meal but you will tag family members to have a tasting. Sushi is a Japanese appetizer but when given an extra flavor, it becomes a worldwide cuisine. Although sushi is easy to make, keenness is required to ensure there is a balanced flavor of the ingredients used. In this case, you can improve sushi with some bits of caviar and smoked salmon. You will, therefore, need cream cheese, chopped chives, sliced smoked salmon, blanched leeks and red caviar for garnishing. The crème cheese then needs to be mixed with chives and the mixture spread on the salmon slices before rolling them. To secure the rolled salmon, blanched leek becomes a savior. After this, be sure to garnish the final product with a dollop of caviar before serving.